Fleet of trucks, trucks and vans, Transport YN.-Gonthier inc.
Transport YN.-Gonthier Inc. owns a fleet of the most modern trucks. Indeed, the average age of our fleet is one of the lowest in the transportation industry. The maintenance and repairs for our fleet are carried out at our facilities in our workshop. We have our own workshop for maintenance and repairs. 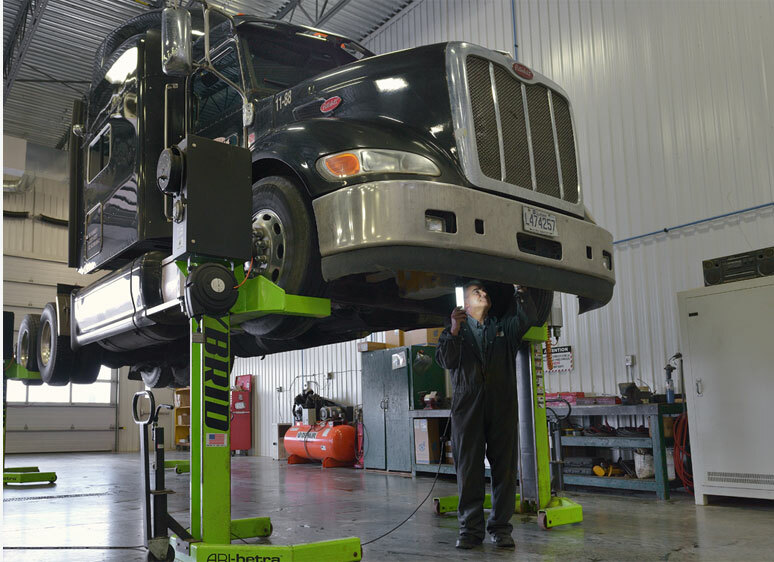 Our team of heavy-duty mechanics specialists perform preventive maintenance and the repairs for each unit (trucks and vans). Maintenance support allows to prevent breakage and react more quickly to unforeseen events as well as to make corrections without delay. This translates into a greater availability of each unit and increased reliability to the delight of our customers. We have moderns and efficients transshipment docks. We have equipped it with the best tools to facilitate various materials in various sizes (crates, boxes, bags, pallets, containers and other types of containers) loading and unloading. For on time and safe delivery.